Reflective dialogue on key issues for organizational survival and success. Learn from business leaders who have begun, purchased and sold ventures. In these “Business Conversations,” we inquire and dialogue. How can we add value to our clients while operating efficiently to produce profit and savings for sustainable operations? “Business Conversations” is broadcast on YouTube, and Public Access Station 98 in Coos Bay, Oregon. Richard Rumelt, UCLA School of Management Chair, has written a logically rigourous book. I found valuable his three key necessary elements for what he calls a Good Strategy kernel: diagnosis, guiding policy and coherent actions. Rumelt criticizes organizations using the term “strategy” when in fact, it is “fluff” or ambition, platitudes, soft goals and wishful thinking. This is the first 12 minutes of the talk. Full 33-minute talk and follow up 14-minute group discussion available at: Good Strategy Audio Files. 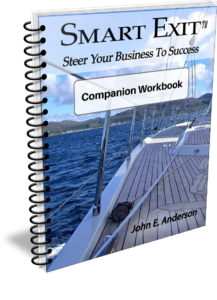 John uses quotations by 18th Century Scottish Philosopher Adam Smith to draw attention to four distinct challenges Baby Boomer business owners are facing to prepare for the successful transfer and sale of the business. Odds are that transfer will be to a young person of 31 years or less, a Millennial. Watch John discuss distinctions between outbound, interruptive marketing from inbound attractive marketing. This talk was presented at the Early Words Toastmasters at the Canterbury Park, 1335 3rd Avenue, Longview, Washington at 6 a.m., March 13, 2012. Discuss options for doing optimization, key person succession and owner exit. Get the assistance of Be Cause Business Resources, Inc. Call 800.249.1622 to speak with John. Set a measurable goal, determine the time and cost of appropriate persons and materials to achieve the goal and a realistic plan of how those individuals can do it. Use time lines to manage complex projects of any size. Learn the basics. Watch John (9:42) as he discussed project management on July 14, 2009. 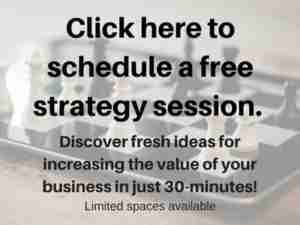 Strategic thinking is envisioning what you wish your organization to become. Strategic planning is determining how to achieve that vision. Purpose is the reason why your company’s mission is important. Values are the bedrock of your organization. What are the vision, mission, purpose and values guiding your organization? John discussed strategy at a Toastmasters International Early Words meeting at the Monticello Hotel, Longview, Washington, April 28, 2009 in this 7 minute clip. A Vital Survival Strategy – Customer needs continue but there is a change taking place in buying behaviors. Monitor their shifting needs and craft your services to fit. John Anderson delivered this talk to the Rainier, Oregon Chamber of Commerce February 12, 2009. 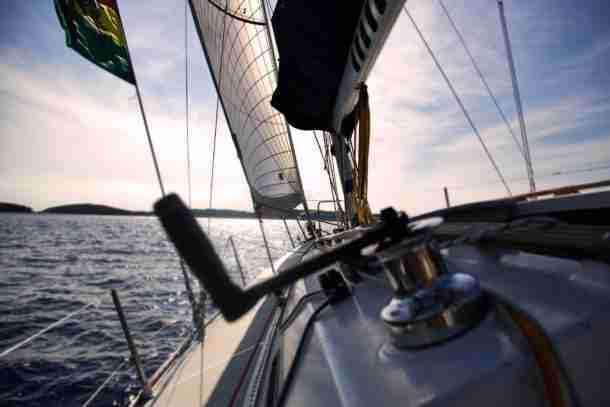 Your business is a small boat in rough seas, are you on course and moving forward? Or are you adrift and taking on water? Look at your situation, customers’ obvious and hidden needs, your products and the services by which you deliver them. Does your system guarantee 100% customer satisfaction with each and every transaction? Len and Jay Farr, father and son, looking towards the next generation, number five, in this retail hardware firm in Southwestern Oregon. Begun in 1916, their two-location True Value hardware business employs 30 persons. Len took over from his father after WWII. Other family members are partners, and together they are using technology and prudent decisions to adapt to changes in the market and within their stores. Alfredo is building a great Italian restaurant in Merritt Island, Florida that he is preparing for sale in 10 years or so with his wife Linda. This printing firm supports a new initiative, Classic Prints And Maps.com to transform itself to marketplace changes. Learn how owner Jon Menke evaluates, buys, builds and then sells businesses to advance his retirement and exit plan. Consulting controller and CFO Marsden R. Smith is John’s guest discussing a client’s recent experience when the client had to leave his business to rescue his wife from across the country when she was diagnosed with a brain tumor. This business was prepared with carefully trained managers to maintain operations during the owners absence. Is your business prepared should you need to be away? Join us to consider how you can reduce risk and improve your the sustainability of your organization. Joseph R. Morgan is well known and respected in Cocoa Beach, Florida. Joe is a retired bank vice president, twice past president of the Cocoa Beach Area Chamber of Commerce and twice former mayor of Cocoa Beach. His brother Tim operated the very popular, Alma’s Italian Restaurant. Joe’s mom, “Mother Morgan” was active socially and politically in Brevard County for many years. Joe and John discuss what it takes to be successful in business. He was with Rockwell International before retiring from Wachovia Bank where he was Marketing Vice President. He served Wachovia for 20 years. Joe was chamber president in 1965 and 1985 and Cocoa Beach mayor in 1993 and 1996. Lead coach at Be Cause Business Resources, Inc. is John E. Anderson 4:58. Here he speaks of exit planning and the importance of preparing today, for tomorrow. Venture capitalists are among the most successful entrepreneurs, right? When they jump into business, they always have a plan for how they and the founder will exit with a good return on their investment. 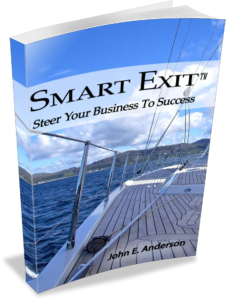 Be smart, create your exit plan now! Call for a FREE Transition Readiness Evaluation. It’s never too early to plan the future. What are you dreaming for yourself, your company and your family. The future consists of ways of being, people in your life, physical and financial things and accomplishments you are proud of having achieved, your average day’s activities, your office and home life, the lives of people you are close to and care about, the resources at your disposal. Creating a GREAT LIFE requires foresight, direction and dedication. If it happens by accident, it could stop at a moment’s notice. Life is terminal, and we can make a difference in our lives if we choose to work with others and invent possibilities where others may only see hardship. What are you creating today and envisioning for tomorrow? THE TIME TO ACT IS NOW! Exit planning is a process and more time means more options and less risk. Take action by calling John to learn more. John and his team could mean the difference between a smooth transfer and sale and no transfer or a troubled exit. This call could mean an extra $100,000 or more in your retirement account.